Are You More Likely to Get Biten by Dogs in the Summer? Rabies are a big scare in the summer time, especially in drought affected areas where the heat and lack of water force infected animals into more urban areas. Bats, often carriers of Rabies, are also more prevalent in summer months which could cause a rise in the disease. While there is no certain, scientific evidence that rabies is more prevalent in summer, this public belief causes problems for dogs. Dogs pant in warm weather. It helps to keep them cool. People often mistrust panting dogs in the summertime. Summertime means more outdoor activities. More outdoor activities includes the dogs and more time around other people’s dogs. 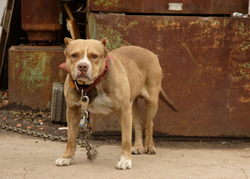 Most dog bites happen outdoors either on the owner’s property or in the near vicinity. With the majority of dog bites occurring outside, it’s a simple conclusion that more bites occur when more people are out. Summertime attire also plays a part. A dog bit on a leg wearing shorts will be quite different on a leg wearing denim. Bites over denim are less dangerous than those on bare skin for obvious reasons and therefore are less reported. Along the same lines as the bullet point above is school vacations. Summertime is the time kids are home from school all day long, playing outdoors among the neighborhood dogs. With more children being out and about during the day there is a higher chance of biting. The most sure-fire way to prevent dog bites is to stay away from dogs you are not familiar with. This includes your children and other animals. Even if a dog seems friendly, it should not be approached, even by an adult. It is a good idea to familiarize yourself with the behavior of dogs and what they do when they are scared as well as angry. Dog bites can be serious. If not treated properly, they can become infected and lead to even more dangerous issues. Make sure to seek medical attention if the skin is broken or bruised after a dog bite. Seek the advice of a qualified personal injury attorney to find out if you are entitled to file for damages from a negligent pet owner. If you or a loved one have been injured by a dog, you will need a lawyer with experience. Call Moseley Collins at (916) 444-4444 for a free consultation.